"I highly recommend Aero Web Design! Steve and staff really listened to our ideas. We could tell it was important to them to identify our goals and work from there. They completely transcended our expectations." Steve, please feel free to edit in any way. I trust you and can't say enough good about what you have done for us. Tired of trying to get a hold of your web guy that doesn't return phone calls? How about waiting 3 to 5 business days to get some updates done to your site? Frustrating! Aero Web Design in Port Huron takes pride in ourselves and our business to be there when you need us. Whether it's through the building process or updating your site, meetings or return phone calls and e-mail, we respond the way you would expect a serious business to respond. A common site building technique used for the last 10 to 15 years is obsolete, but designers are still doing it. What they do is design a mock up graphical image of a web site in Photo Shop, import it into a web site building editor, and add content from there. What this does is create a stunningly beautiful web site, but creates absolutely garbage code. It creates tables for the layout of a page, which by today's web design standards, is amateurish at best! This has many consequences, including rendering a web site almost unsearchable, increase page load time, and hinders editing elements of a page for future updates. This is NOT the way to build a web site!!! Synopsis: A beautiful site may be ugly on the inside! Aero web sites implement the latest coding techniques for getting the best possible search results for your site. Our web site coding is valid code according to the W3C Code Validation Specifications. Click the icons to view! "We were under a pretty strict budget when we opened our restaurant and needed to get a site up. Steve went way beyond the call of duty. I know he put way more time into this than our budget allotted. Steve is professional and knowledgeable and guided us along the way. Updates are needed for our site quite frequently and usually it's Steve bugging US for updates! We think the site conveys what we are, a place to have some serious fun and some serious food! What separates Aero Web Design in Port Huron from the rest? Attention to what it takes to sell your business, which is not just a pretty interface. Content and user friendly sites are ultimately what lure... and keep... your customers interested in what you have to offer. Flashy, awesome looking sites are useless if they don't separate you from your competition. 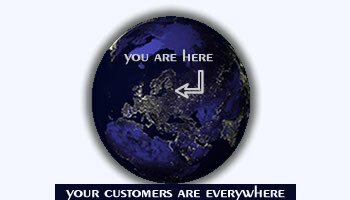 We take the time to differentiate your services and goods from your competitors. We have the ability to build you a great looking site on the outside while building proper code on the inside, thus getting superb visual results, as well as superb search results! No idea what a website costs? The most important step in the planning process of a web site is what kind of content is written to fill your pages. We can help market your business and it doesn't involve keyword stuffing text. Web sites need to work. Fancy gadgets and animation can hinder a sites functionality, taking your potential customer away from the objective, which is to makes a sale or get a visitor to take action. User friendly framework and navigation design will direct a user where to click next and get them to where you want them to go. We can design a logical flow to your site which will keep your visitors interested and spend time on your site. Search Engine Optimization (SEO) is the process of getting your site "prepared" to be search engine friendly. There is no magic trickery or crafty deception of search engines, they are way too smart, it's all in how a site is put together. Aero Web Design knows the techniques to get the best possible results in a search. Although possibly the least important aspect of design, appearance can play an important roll in a successful web site. Average web designers will pour all they have into appearance, leaving the first 4 steps out of sight and out of mind, which is where your customers will likely end up. While our focus is building an effective web site, we can also make it look great! These "5 Golden Steps to an Effective Web Site" are the crucial components in developing a site. Aero Web Design implements these 5 steps to ensure you are getting the best possible marketing tool, which is your business online. Don't be fooled by a great looking web site, it's what's inside that counts. Curious about some aspects of web design? Get some up front questions answered using our simple short form links below. Even get a basic idea what a site will cost or just ask a simple question. Website design in Port Huron just got a little better.